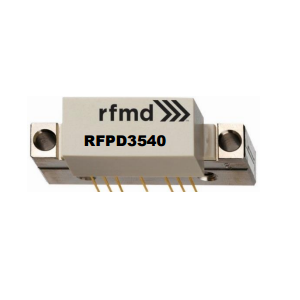 QPF4518 - Front End Module - RFMW UK, Ltd. 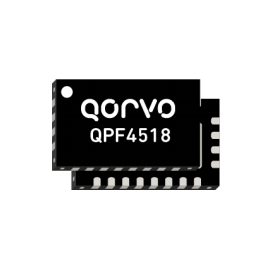 The Qorvo® QPF4518 is an integrated front end module (FEM) designed for Wi-Fi 802.11a/n/ac systems. The compact form factor and integrated matching minimizes layout area in the application. 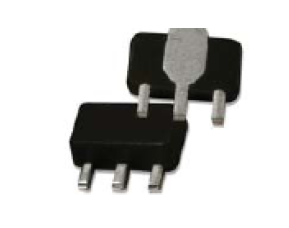 Performance is focused on optimizing the PA for a 5V supply voltage that conserves power consumption while maintaining the highest linear output power and leading edge throughput. The receive path is pinned out so external filtering can be added in the optimal position. Integrated die level filtering for 2nd and 3rd harmonics as well as 2.4 GHz rejection for DBDC operation are included. There are two options for power detect, a DC power detector which has voltage output and an RF power detector with an RF output from a directional coupler. 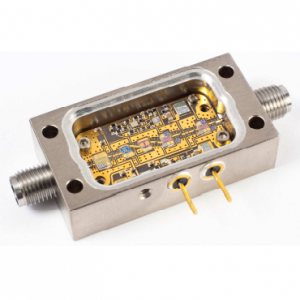 The QPF4518 integrates a 5 GHz power amplifier (PA), single pole two throw switch (SP2T) and bypassable low noise amplifier (LNA) into a single device.